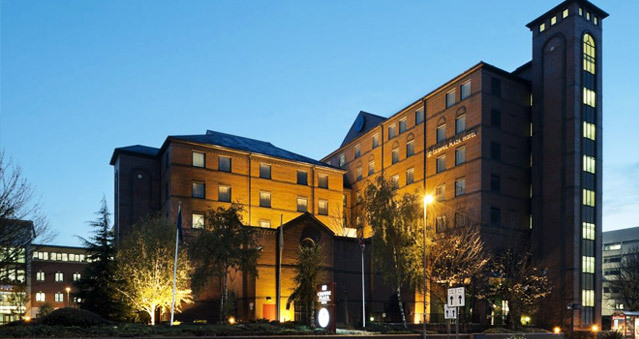 The Crowne Plaza hotel in Leeds is located close to the M62, M1 and leeds city centre. This is a brilliant venue for team building, team development, wedding packages & hotel rooms. The hotel is conveniently located close to local attractions including the First Direct Leeds Arena, Headingley Cricket Ground and Kirkstall Abbey. For eating and drinking, the Crowne Plaza Hotel Restaurant, Lounge and Bar offer tempting international-style dishes – as well as some hearty Yorkshire favourites. We offer 24 hour room service that will tingle our taste buds with locally sourced produce. The hotel is an excellent base for visiting local attractions, The Trinity Leeds shopping centre and the First Direct Leeds Arena are within a short 10 minute walking distance from the hotel. Leeds United Football Stadium, Headingley Cricket ground, Harewood House, Roundhay Park or visiting the Knightsbridge of the North for shopping are all within a short driving distance.